It’s time to look at the big climax to the trilogy! The Mane 7 have gone to the theater to see how the film went. Naturally it was quite good, possibly the best film they ever saw. The heroes are pretty nice people so they don’t want to make a big deal of this, but then they see that Juniper is working here and decide to pay her a visit. After trying to sabotage the film, Juniper was fired and forced to work as a sweeper at the theater. The Mane 7 remind her of this and let her know that it’s what she deserves. Juniper decides to get back at the heroes and finds a mirror. With it she can throw people into other dimensions and even finish her chores quicker. She slowly begins to use this mirror more and more until she is completely hooked on it. Now she does not want to ever turn away from it. Why should she when this grants her super abilities? Sunset realizes that she’s going to need pony power for this one and calls up Starlight Glimmer. Together they can succeed where the Equestria Girls failed. Juniper may have magical abilities, but the heroes have the power of friendship on their side! The big battle between good and evil starts here and it will definitely ensure that you never look at the characters the same way again. It was nice to see Juniper get a super form here as the other specials had been pretty down to Earth. Seeing the characters go cosmic again was definitely a blast. Meanwhile, Juniper is a pretty fun villain here like in the other special. I do think that it’s basically impossible to sympathize with her at all. Considering how many crimes she committed in the last special, you’d think that she would be incredibly grateful to be working anywhere right? Instead she spends this time griping the whole while. She’s clearly very bitter about everything and hasn’t learned a thing in her exile. By the end we find out that she just wanted friends, but I’m not sure that I buy this. There was certainly no indication that this was the case until the very end. I think the heroes basically tricked her into believing that this was the case. 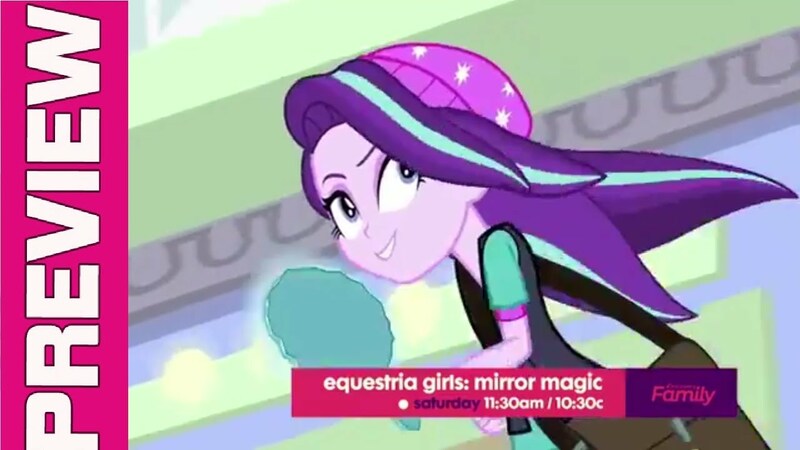 I do think Starlight Glimmer was pretty out of character here though. This seems to be the case a lot of the time when the Ponies show up in Equestria Girls though. Starlight acts like a complete beginner here. She isn’t very powerful or confident which isn’t like her. She gives some advice here and there, but spends most of the time just staying in the background. She could have been cut out of the film and nothing would have changed. That’s my main problem with the whole thing. Starlight should have been brought in to have a big fight with Juniper or something. Otherwise why even show up? Still, at least we finally got the big meeting between the two characters even if it was handled poorly. All told, this trilogy ended on a pretty high note. The writing was good and the special’s short length really allows for the action to start up right away. I still say that Starlight was misused here, but you can’t win them all I suppose. The mirror was a good piece of tech so hopefully it shows up again. It could easily be used for a bunch of different plots which would certainly be fun. 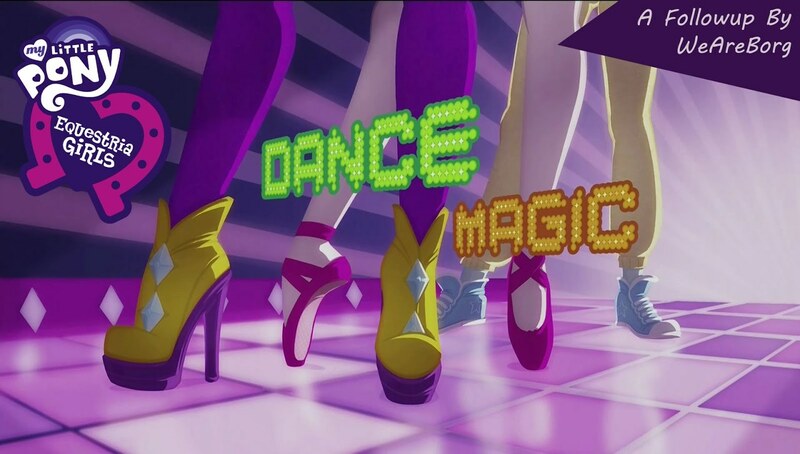 It’s time to look at the next installment in the Magic trilogy. The heroes have arrived on the set of a Daring Do movie and are looking forward to seeing it be made first hand. As Rainbow Dash is a big fan she is determined to help the crew do it right. Unfortunately a ghost has been scaring people off the set and now even the props for the movie have vanished. Without those the movie will have to be put on indefinite hold. Dash can’t have that and so she decides that the group will find this ghost. She even brought along her super speed amulet so she can take this villain down a few pegs. Still, will that be enough to defeat an actual ghost? This really plays out like a classic Scooby Doo film. It’s pretty neat to see how the MLP crew would handle such a task. Of course, it is a bit obvious who the culprit is from the start. I think the one area where the special made a mistake is in only having a small cast around. From those characters only 2 of them feel like actual suspects. You have a spoiled actress who keeps saying that she wants out of this film and then you have a movie attendant who really loves being in the film business. Hmmmm, who’s the likely culprit? Well, the actress would be the obvious guess since she doesn’t like the movie, but through that you know who is actually guilty. Still, even if you know who it is the actual mystery is still pretty fun. I do think it was a bit of a stretch how the villain outran Rainbow Dash though and then captured her. Rainbow Dash isn’t a normal human like the rest of these characters, she has actual super speed? The whole thing felt like plot hax to be honest. Still, it did add a little sense of danger which is always good though. The team’s plan to capture the villain was also pretty well thought out. It just goes to show that the ponies have brainpower as well as brawn. The ending was handled pretty well as the villain starts to go through the motions of pretending to turn over a new leaf and all of that. The director doesn’t buy into it and wants the person off the set. This time the culprit basically gets off with a slap on the wrist, but I guess it makes sense since this character is likely still a minor and as such can’t do a whole lot of hard time anyway. She’s banned from the set and that’s really all you could ask for. From what we saw it looks like the Daring Do film will be a riveting success. I was half expecting the actual Daring Do to show up, but I guess she could have ended up stealing the show. Surprisingly there aren’t any real songs here, but I suppose maybe that would have been out of place with the whole mystery angle going on. I’d say that the first special beat this one as a result, but Movie Magic certainly did have a little more danger and suspense in the plot so it was pretty close. There’s not much to say about the graphics as they are effectively the same as in the first special. 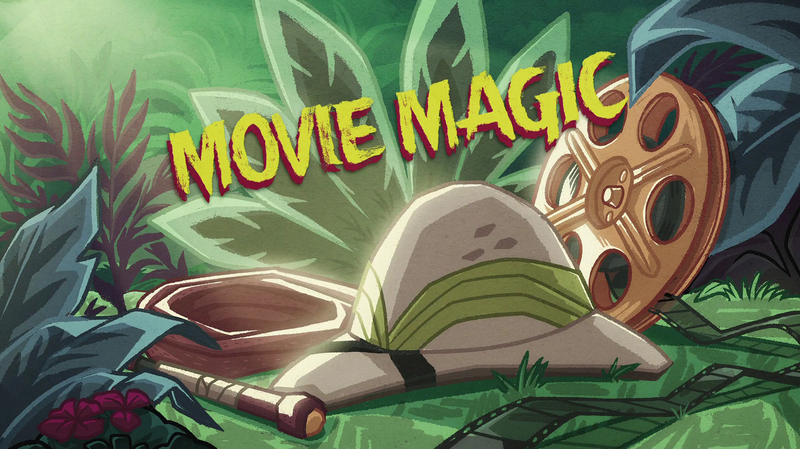 Overall, Movie Magic is a good follow up to the first special. The main characters are a pretty close knit team by this point so it’s nice to see them making plans and such to catch the enemy. The villain was also fairly memorable and made for a good antagonist. I’ll talk more about her in the final special review. The 2nd special in a trilogy is usually more for set up than anything else and that’s exactly the case here. The third special is where everything finally connects and we learn who is really pulling the strings here. Lets just say that everything has been leading up to this moment. Time for another Christmas special but this one is by a different crew so we’re back to traditional animation. It definitely looks pretty good and right away it’s an improvement for me at least. As for the actual story, that part is a little less engaging but I blame the main character on that one. So prepare yourself as we enter the world of the Bears! I don’t think that Ted’s plan is bad or even that selfish. If he wants to stay up then that’s fine. It won’t hurt anybody and at most he’ll just be really tired once the hibernation is over since he’ll have had less sleep. The problem is that he does end up hurting others which is certainly no good. First he forgets to turn the honey off which is pretty bad since they waste a few gallons and that ends up hurting the company’s bottom line very quick. Fortunately for Ted his boss was very understanding and told him that he could overlook this but not to let it happen again. Then Ted runs outside and does an interview where he tells the world his plans. This isn’t a good look and it reflects poorly on the job. When you’re an employee like Ted you can’t just give interviews without going through HR first. I’m probably being a bit hard on Ted, but it’s for his own good. If he was a little more careful I think he could have been a very good main character. Most of the special is about Ted finally making it to the human world/Christmas. Once he does make it we realize that this was all part of Santa’s plan from the start. It’s all rather genius from that holiday icon’s perspective. Everyone is just another piece on the chessboard for him. The whole situation can be a little odd if you really think about it as Ted got to the human world pretty easily all things considered but when you throw magic into the equation then things start to make sense. It’s also possible that without Santa Ted would have been doomed from the start. 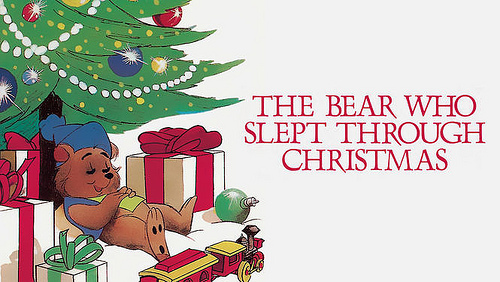 Overall, The Bear Who Slept Through Christmas is a pretty good special. Ted could be annoying at times but at least he had a goal and saw it through. His determination is admirable for sure and he succeeded in his goal. The ending is pretty nice and a best case scenario for all parties involved. I’m sure even his boss is happy about the whole thing since now his operation can be back on target just as he likes it. I recommend checking this special out. It’ll help remind you to look forward to Christmas since it’s always a blast and a half. You just can’t go wrong on this day. It’s time to look at another classic short. This one deals with the first Christmas snow for the main character Lucas. He definitely had a pretty raw deal but always sees the bright side of things. This is another special that I hadn’t heard of previously so I’m certainly getting introduced to a bunch of new Christmas animations this year. It’s definitely been a fun run of holiday cheer and we are just getting started. The short starts with a few Nuns taking in a boy named Lucas. He is a shepherd but a close bolt of lightning took away his sight. The nuns, particularly Sister Theresa decide that they must take care of him. Unfortunately the main priest doesn’t like this and wants Lucas to be sent away. As a result Lucas’ stay at the orphanage can be a bit awkward at times. Still, he does his best to fit in and help with the upcoming show that will be put on. When bullies allow his sheep to get lost in the forest Lucas must try to bring them back even if he is blind. Can the kid handle it? I have to say that the main priest was definitely a lot more antagonistic than I would have expected. Right from the start he is against Lucas. Why is he running an orphanage if he doesn’t want to take kids? He just looks pretty bad the whole time so even at the end when he has a change of heart you have a tough time buying into it. It’s all too late by that point. Then we have the bullies who were about as mean as you’d expect. I guess what’s an orphanage in these films without some of those right? Lucas handles himself pretty well throughout all of this though. Even the wolves in the forest can’t scare him. They surprisingly didn’t get much of a role but that’s good since for a minute there you start to get worried that some animal violence might happen. No need to hurt the score like that when the whole plot can be avoided right? The animation is the same as the rest of these specials so no need to go into that all that much. I’m still not a fan of the style but it is what it is. At least we get an interesting effect for Lucas’ eyes when he is blinded. I thought that part was handled pretty well. Considering what shape his eyes were to show the blindness, the ending also makes sense with how his eyesight is brought back. Now he can go back to being an expert shepherd and keeping his flock safe. Overall, This was a fun special. While the orphanage was a little meaner than it needed to be, I’m glad that Lucas didn’t let it get to him. He didn’t go for revenge or fall into sulking. He just stayed the course and kept on helping out wherever he could. He adapted to his blindness as best he could and having a good main character like this is always important. If you haven’t seen this special and like this line of stop-motion shorts then I’d recommend checking it out. If this is your first experience and you want a nice story then you should still enjoy it. It’s also fairly short so you really don’t have anything to lose here. It’s time to look at the relatively obscure sequel to the original Drummer Boy. At the very least I had not heard of this film before. The first Drummer Boy was certainly a classic so this one had a lot to live up to. It’s a reasonable special. Not a whole lot happens but that’s a given considering the length. The villains were pretty fun and I think the special did a good job with the visual gags. While this is a special that feels like it was made for kicks, I’m still glad we got a sequel. The short starts out with a bunch of roman guards storming a poor village. Someone had spent months creating a few large bells to signal the birth of Jesus Christ and was preparing to set them up. Unfortunately the villains had other plans and quickly stole the bells. They plan to melt them down into pieces of silver so the villains will all be rich. All hope seems to be lost but that’s when the Drummer Boy steps in. He figures that he can distract the villains with his performance while the animals grab the bells but this task may enact a greater price than he could have ever suspected. Naturally the guards are as corrupt as they come. You certainly aren’t supposed to root for these villains by any stretch of the imagination. Still, the special at least makes them fairly humorous. I actually enjoyed the song about money. Both because of how unexpected it was and because the lyrics actually made sense. It just had a catchy beat and if anything the villains were able to pull it off better than the actual Drummer Boy. Throwing in some good music is always a good way to make a special even more memorable and I don’t think I’ll be forgetting this one anytime soon. I’m still not a fan of the claymation style though. It all looks rather clunky and the animations just don’t look as nice to the eye. There’s nothing particularly appealing about the style and since everything looks like clay you won’t be watching this one for the visuals. Still, the actual plot is good. It’s always cool to see something taking place around the birth of Jesus. The Drummer Boy makes for a good main character. He also made quite the sacrifice for his mission which is more than other leads would have been able to do in his shoes. The special has a happy ending though and so everything worked out in the end. 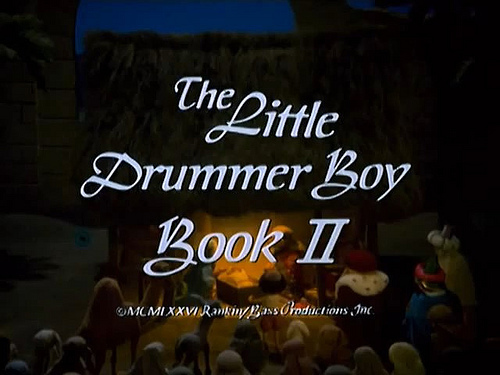 Overall, The Little Drummer Boy Part II is a pretty good sequel. It’s nice to have the old gang return even if his actual drum skills didn’t really look so good this time around. I guess realistically you can’t expect such a tactic to work for very long right? At least he was able to keep it up for a little while and it was a nice homage to the original. If you enjoyed the original Drummer Boy then I certainly think you’ll like this one and vice versa. They’re pretty similar and you could easily watch them both back to back since combined they would be about as long as the average episode if not a little longer. 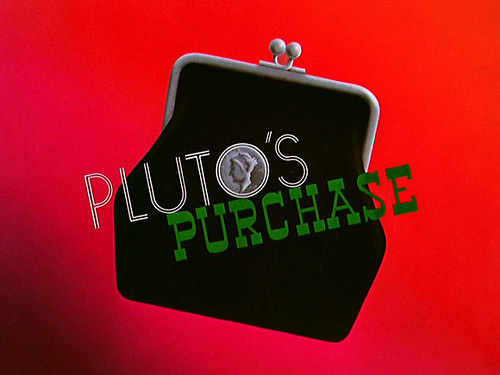 It’s time to look at an old Disney special about Pluto. Pluto typically can’t hold his own special as well as Donald or Mickey but the character always has potential. After all, Snoopy ended up becoming quite the hit in Peanuts even if their circumstances may be a little different. This special is also a lot less tragic than Pluto’s last one which helps quite a bit. 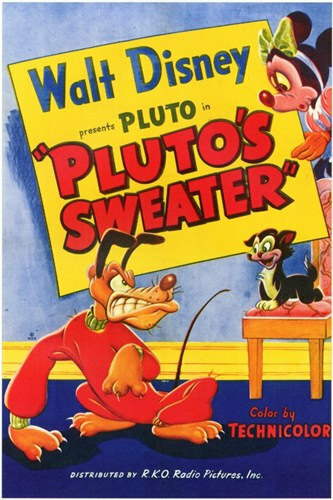 The general premise is that Minnie has made a new sweater for Pluto. The problem is that she’s not the smartest character on the block and made Pluto a pink sweater despite knowing that he wouldn’t want to wear such a thing. She forces it on him and Pluto spends the remainder of the special trying to get it off. It’s tough because the sweater is sentient and wants a host so that it can continue to survive and thrive. Honestly it really isn’t a bad strategy when you think about it. The sweater just wants to live so you may be rooting for it. Naturally as with most of the Disney special this one is only a few minutes long so it goes by real quick. The pacing is on point and it stays interesting throughout. As I mentioned this special isn’t tragic which is definitely important. There is a cat that mocks Pluto for a while, but eventually the tables are turned and it learns that embracing the sweater ultimately isn’t a choice. You just have to roll with the punches, better now than later. Pluto is now safe once more, until next Christmas. As far as the animation goes it is just as solid as the rest of the Disney specials. The colors are all pretty vibrant and the characters are on point. Consistency is the key to success and it’s an area where Disney has excelled for years and years. There is always something happening on screen whether it is in the forefront or in the background. Part of what makes the specials a lot of fun is how chaotic and energetic the animation is. It’s something that you simply can’t duplicate with traditional CGI or some of the more low budget hand drawn stuff that you see nowadays. I do have to say one last time that Minnie wasn’t a great character here though. She is brought to tears way too quickly and basically starts to guilt trip Pluto. Naturally the fact that she didn’t notice how much Pluto didn’t want to wear the sweater is used for comedy, but it doesn’t make you any more likely to take her side. If she had noticed that Pluto didn’t want to wear the sweater then she probably wouldn’t have felt quite as bad about it being shrunk down to size. Overall, Pluto’s a fun character but I still do think he can’t hold his own specials quite as well as Mickey of Donald. That’s not to say that the special is bad or anything, but the other two just add an extra element through their dialogue that Pluto can’t match. He has to rely on pure animation as a visual medium which is fine, but it just won’t have the same impact as the others. How could it? Dialogue (With good writing) is just too powerful to be matched in most situations. If you haven’t seen this special yet then I would recommend checking it out. You’ll get to see the sweater in action and what could be a greater honor than that? It’s time to look at a very quick Disney short. Now, most of these old shorts were quite…short, but this one really takes the cake. It’s listed as 8 minutes online, but it seemed to only be about 2-3 minutes while watching it. Maybe the special was just that good, but it does seem like the shortest of all the Disney shorts and that is actually pretty impressive. There are really only 2 main characters here, Donald and Mickey. Naturally they are on opposing sides here as you might expect. 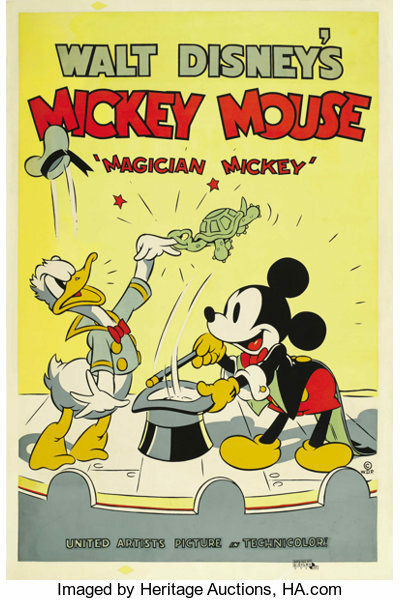 The film starts off with Mickey performing some tricks on stage. He is a magician and not simply one who uses parlor tricks to get by. Mickey knows real magic so I assume this is in the same continuity as that other special where Mickey was learning spells under the tutelage of that random magician. Unfortunately Donald isn’t a fan of Mickey’s act and decides to sabotage the mouse. Mickey doesn’t really like confrontation so he avoids Donald for a little while, but eventually he decides to put the duck in his place. Sparks fly and both characters really get into it. There is a winner here though as the special doesn’t end on a cop out. It’s a fun enough short. I like seeing this more confident version of Mickey. He isn’t about to let Donald just get his way without a fight. Still, Mickey is a professional so he tries to end the situation in a way that is still entertaining to his captive audience. I have to admit that this is one of his best appearances in the various Disney shorts. Then we have Donald who is pretty fun as always. He is definitely the antagonist here, I don’t think there can be any doubt on that fact. Still, while Donald is unreasonable he is still entertaining as you would expect. He’ll definitely give you flashbacks to any hecklers you may have faced in showbiz. They can’t be pleased and they won’t be silenced. All you can do is listen to them and wait for an opening to use your next act. Of course once the heckler gets violent as Donald did then you can be all set to use your skills to wow the crowd and stop this disruption. The animation looks pretty smooth as always. I like the character designs here and the stage looks pretty nice. There was definitely a lot of care that went into this. There isn’t much of a soundtrack, but I suppose you wouldn’t reasonably expect one here. On a technical level this special delivered just as well as it did with the writing and the characters. It’s a solid short from whatever angle you decide to look at it from. Overall, Magician Mickey is a nice short to watch while you polishing off an afternoon snack. It’s the perfect amount of time for that and it’ll feel pretty nostalgic. There’s nothing wrong with the special and it only takes a few minutes to watch so why wouldn’t you take the plunge? Because it is so short I don’t think it will wind up being one of your favorites or anything like that, but I’ll still give the short some props for doing a good amount in its limited time frame. We’ll see if any upcoming short can hope to match this one. It’s time to look at a classic Disney special. Moose Hunters is a team up adventure and those are usually pretty solid but Goofy ends up getting most of the screen time which was definitely not a great move. It ends up being one of the weaker specials I’m afraid but as always Donald is here to try and save it. The adventure begins with the trio deciding to get some Moose. Goofy and Donald will act as the bait while Mickey loads the shotgun. 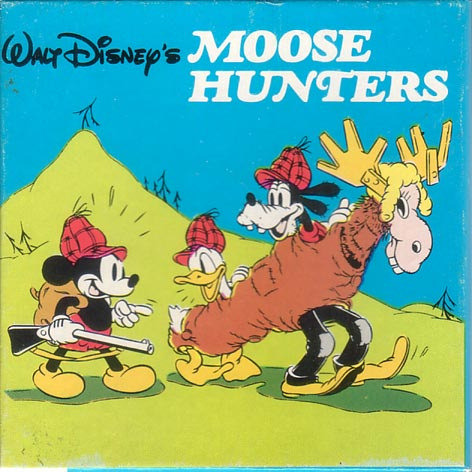 Unfortunately for the mouse he gets pushed by the big moose on campus and ends up losing his shotgun. At this point it is all over for him. Mickey delays the inevitable by grabbing some grass big that’s basically it for him in the special. His subplot wasn’t bad though. Goofy and Donald’s plot is the one that drags on. They decide to dress up as a female moose and do their best to distract the other one but since Mickey is out of the picture they are stuck in the role for a considerable amount of time. The same joke just keeps on going and going long after it has ceased to be amusing. While it is a parody of this kind of plot, I also never like the idea of using romance to trick the opponent into lowering his guard. For starters if should never work unless a character is extremely weak willed. It would have been nice if the Moose had just kicked these guys away. It would have sent a good message that he was not to be trifled with. As always the animation is pretty solid. It’s all very fast paced and uses a lot of movement without getting sloppy. The character designs are on point and you do feel a certain level of tension throughout as you wonder if the heroes have what it takes to win this fight. There isn’t really anything in the way of music here but seeing as how the special is only a few minutes long there wasn’t much time to throw it in. Overall, Moose Hunting is definitely not going to be remembered in the same way as most of the other shorts. It’s just not nearly as captivating or intense, but I will give it some points for effort. If you just really want to see the old gang in a new adventure then by all means check it out but I would sooner advise just about any of the other specials for a better time. This one’s plot just wasn’t good from the start which hurt it. After all, how can we root for the main characters when they’re hunters? It’s a very morally dubious career choice and one that can be a debate all on its own. Long story short though, I was rooting for the moose here so when the main characters got wrecked I was pretty satisfied. They had to beat a hasty retreat so the right side won. It’s time for the next Disney short which is another Pluto special. Unfortunately it wasn’t very good like the last one. It’s a shame because this special was going reasonably well until the very mean spirited ending. Definitely not the way you want to end any special. The story begins with Mickey sending Pluto to the deli in order to grab his lunch. Mickey has been growing old over the years so of course he wouldn’t go grab it himself. Pluto has no problems with the plan since securing his own lunch will make it taste even better. Unfortunately, one of the alley dogs decides to try and steal the meat. Pluto is in for quite a fight! It’s a classic story of two dogs fighting it out for the same lunch. Obviously Pluto is in the right here as it’s his lunch which he paid for fair and square. The other dog is just another in a long line of villains who would like to stop Pluto but he shall fall like the rest. At least that’s what you would think. Unfortunately the special actually ends with the dog winning and in one of the worst ways possible. Pluto had made it home but then Mickey snatches the lunch away and gives it to the other dog. That was one of the biggest betrayals that I’ve seen in quite a while and Pluto doesn’t get a happy ending of any kind. Being forced to share it would be one thing, but losing it altogether? Yeah that’s not really a good idea. The whole thing also makes Mickey look very bad and out of character. He seems completely oblivious to everything when I like to think that he is more on the cunning side and always ready for what is to come. He would have realized that having Pluto go grab his usual lunch would lead to the assumption that it was his. He should have told Pluto straight up what was going on instead of all this zigzag. At least tell him to buy 2 since then the implication would also be clear. Not saying it until the end just isn’t a nice or fair approach. The animation is smooth as always. Disney is still consistent in that area and that won’t change for quite a while. It’s easy to forget just how old the specials are since they look so bright and vibrant. You would be forgiven for thinking that the special is a lot newer than it actually is. Overall, this special is one that you will probably want to skip. Dread it, Run from it, but the Pluto specials will always find a way to break the mold of Disney successes and make some kind of mistake. At least if these two specials are a good indication of the group. There’s just no reason to watch a Pluto special when you can watch one about any other character. He’s simply not ready for the big time.